Our high-grade fully-machined Troy Premium Wide Flanged Olympic Plate Set PO-500 has a rich baked black enamel paint that is made from ASTM Grade 20 cast iron and they are designed to fit on all 2” bars and shafts. The deep dish rim design allows easy handling. These Olympic plates are machined on rims, side, back and center to maintain a 2% accuracy level, plus or minus. This Troy Premium Wide Flanged Olympic Plate Set PO-500 is full commercial grade, designed to handle heavy home use, high school weight rooms, college fitness centers, military gyms, training studios and all other commercial fitness settings. Call 1-800-875-9145 to speak with one of our fitness advisors with any questions you may have about any of our barbells and plates. Get Motivated! 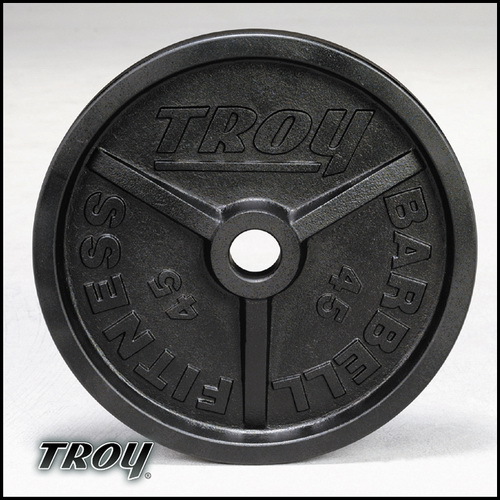 - Step up your fitness program today and go to FitnessZone.com to order your Troy Premium Wide Flanged Olympic Plate Set PO-500. 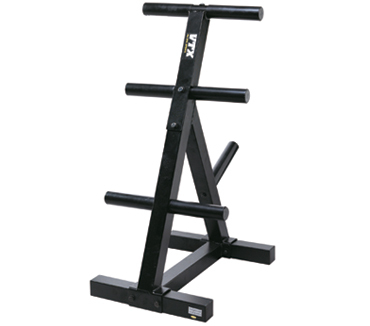 Product Description: The Olympic Plate Tree holds all 2” plates and can be used for home or institutional applications. Limited 10-year warranty against breakage and 1 year warranty against manufacture defects. This warranty does not cover paint chipping or rusting. 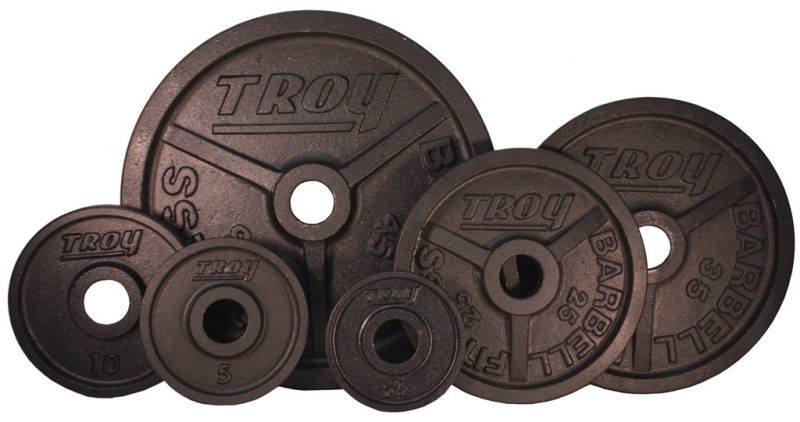 Order your Troy Wide Flanged Olympic Plate Set PO-500 from FitnessZone.com today!